يقع فندق Bella Vista Fox Glacier Motel في منطقة تتمتع بمعالم كثيرة، وتعتبر المكان الأنسب لاكتشاف هذه المدينة رائعة الجمال و ما يحيطها. يقع مركز المدينة المثير على بعد فقط. يوفر العقار بفضل موقعة الجيد وصولاً سهلاً إلى أهم معالم المدينة.
. إن الخدمات الممتازة وحسن الضيافة العالي في Bella Vista Fox Glacier Motel تجعل إقامتك تجربة لا تنسى. لضمان راحة ضيوفه، يقدم الفندق الخدمات التالية: واي فاي مجاني في جميع الغرف, خدمة التنظيف يوميًا, مرافق مخصصة لذوي الاحتياجات الخاصة, تسجيل وصول/خروج سريع, تخزين الأمتعة . لقد جهزت هذه الإقامة الفندقية بعناية فائقة لتوفر مستوى عالي من الراحة. في بعض الغرف يجد النزيل تلفزيون بشاشة مسطحة, سجاد, قهوة فورية مجانية, شاي مجاني, مرآة. صممت خدمات الاستجمام في الفندق والتي تتضمن سبا لمساعدتك على الاسترخاء والراحة. يحظى فندق Bella Vista Fox Glacier Motel بموقع ممتاز وخدمات يصعب منافستها. My wife and young daughter stayed in early November and it ticked all the boxes. Think we were graciously upgraded to give us the bit more space that we need as a young family (thanks again!) and the travel cot was set up ready for us on arrival. Parking right outside and close enough to restaurants. Clean and modern room with a really warm welcome, would recommend it to friends and family. The motel is centrally located and very close to the tour bus pickup point. I had a wonderful one-night stay and will come back. The room was well-furnished with a comfortable bed and kitchen facilities. 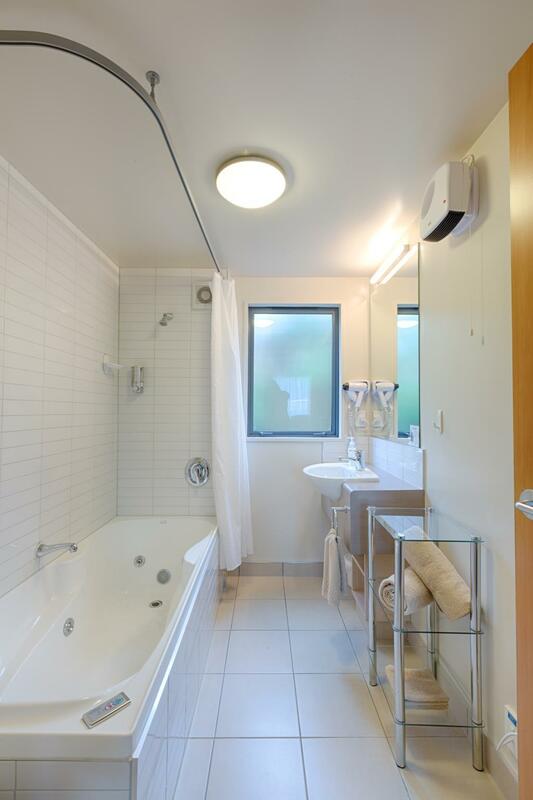 The bathroom was clean and white, and was even equipped with a spa bath-tub. What a treat! The complimentary wifi connection was good. The lady at the reception desk (Sue) was extremely friendly and provided helpful tourist information. The only downside was the yellowish water from the taps. It was not the fault of Bella Vista. It was the water in the Fox Glacier area. I bought my own drinking water from the grocery, which was just 50 meters away. I had dinner at "The Asian Wok" next door. It used to be called "The Indian Kitchen". I tried the Thai food, which was delicious as it was cooked by a real Thai chef. An Indian couple dining there told me the Indian food was excellent. Not bad, value for money. Rooms are comfortable. I initially booked a “high floor” room but found out there is no elevator, hence requested a ground floor room during Check-in, reception quickly changed for us. Also, reception let us know what to do in Fox Glacier and asked where is our next destination, she gave us a paper introducing what to along the way to the next destination. The relief managers were amazing.. helpful, thoughtful, kind.. 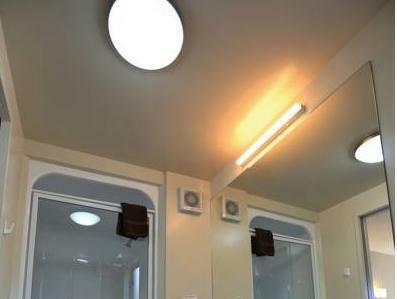 The shower over bath is very unsuitable for many older travellers ... we will bear this in mind when booking in the future ... other motels are the same (ie ramanda). 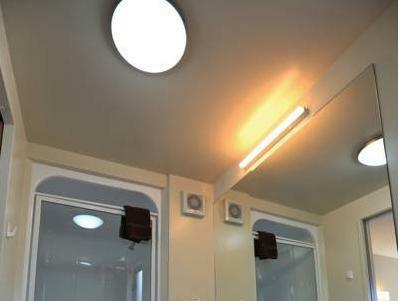 Otherwise very good accommodation facilities very clean and fresh. Friendly Staff! Good service, great location, nice and very clean motel! Lovely and wonderful stay! We had a lovely stay here. The lady at reception is so friendly and helpful - It that really makes a difference to be greeted like that after a long tiring drive! 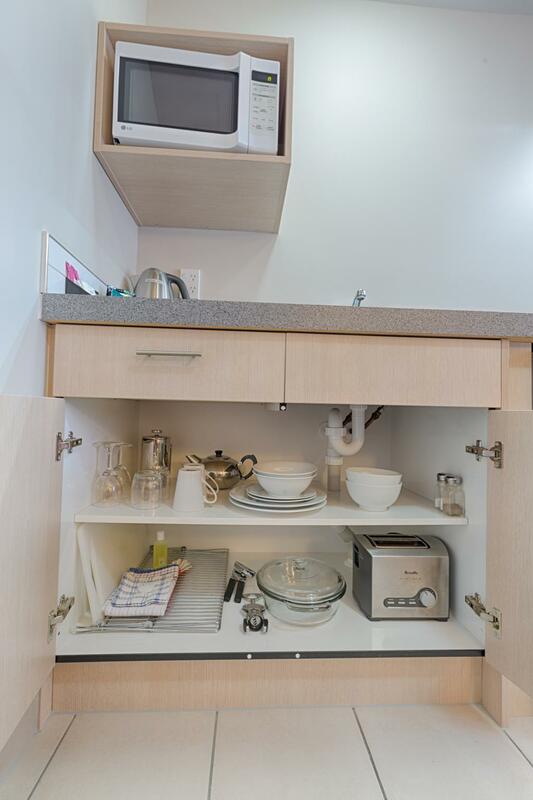 The room is modern, clean and comfortable and the laundry facilities are very convenient. It was an unforgettable experience for me in Fox Glacier. 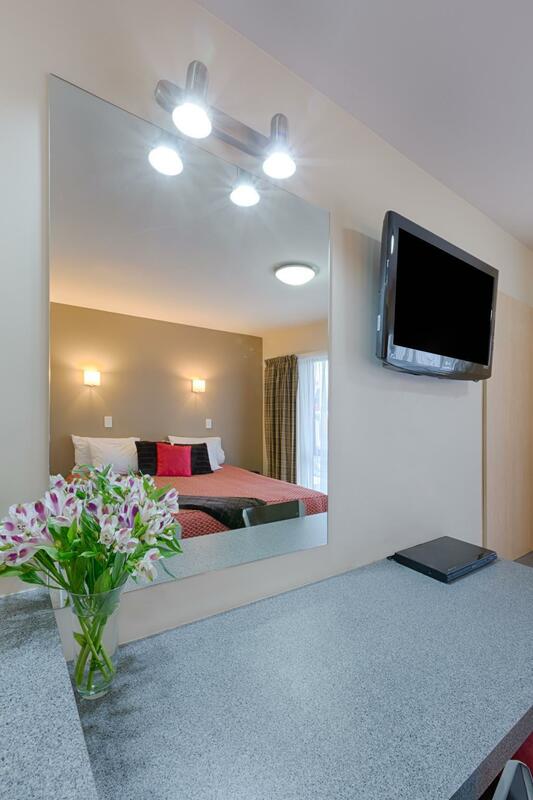 The Motel is located in the main street, where you can access bistros, grocery stores, and travel centres in minutes. 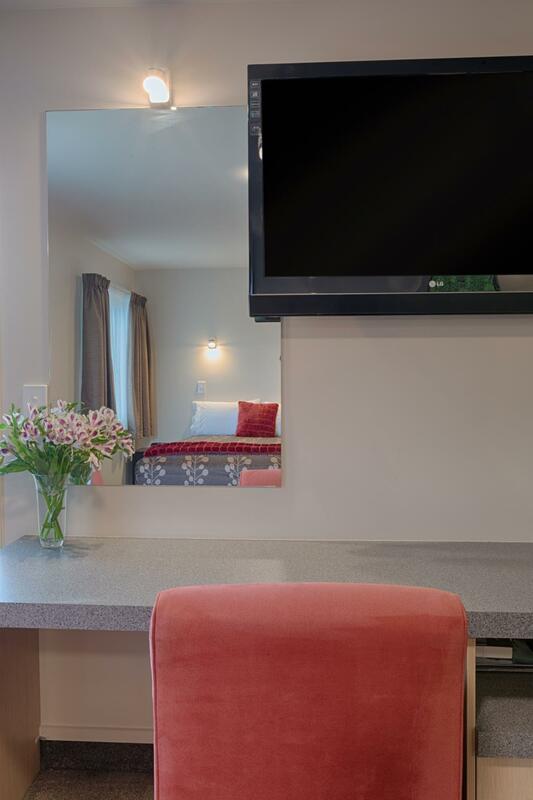 The room is spacious and bright, in addition, the staff (or the owner) of the motel is extremely approachable and honest, she almost forgot to take the bond for check-in. Also, the grounds is strictly supervised by the staff; I overheard the guests were warned by the staff to maintain their voice level and clear the rubbish in the carpark at night. 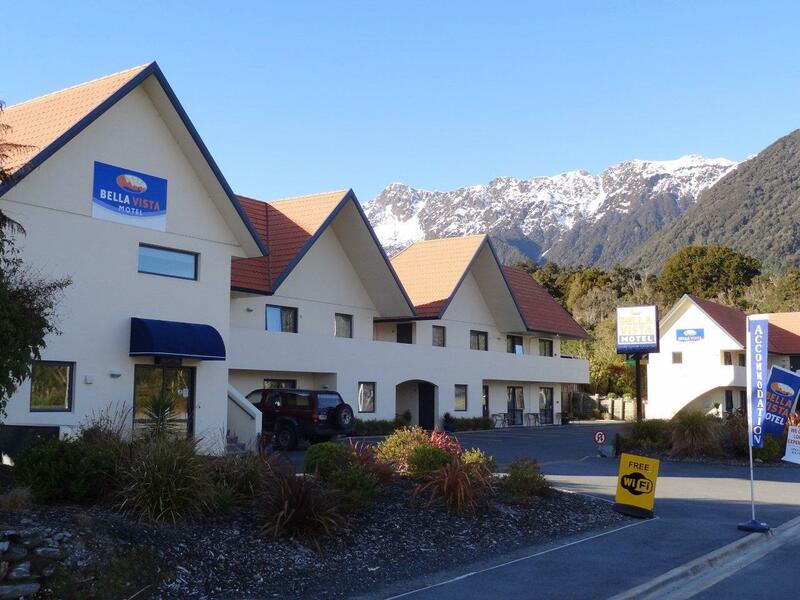 I'd like to spend another holiday with Bella Vista Fox Glacier Motel again. 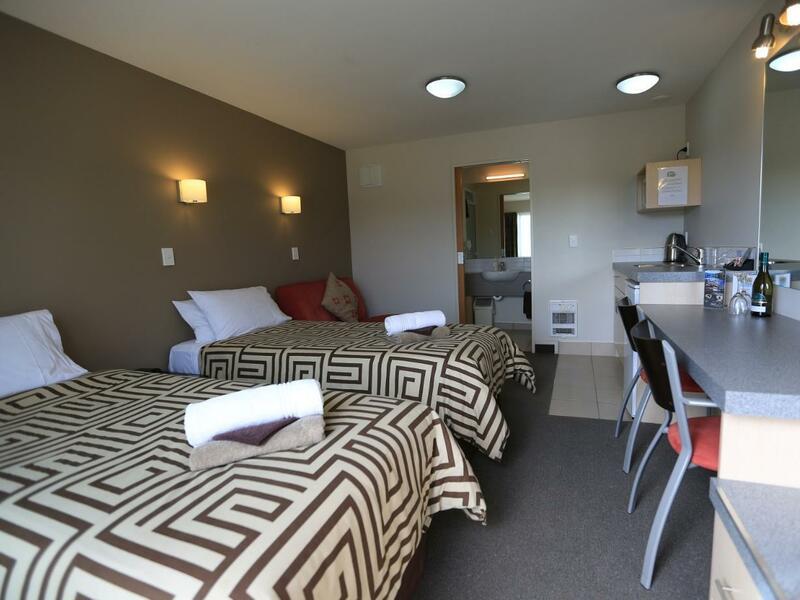 After a long drive from Wanaka, all we need is a friendly face and clean room to rest, and Bella Vista Fox Glacier Motel has it all. Despite is the quieter sister to Frank Josef, you get to enjoy the serene and beautiful sunset sky. The bar nearby is recommended too. The location is convenient & the staff are friendly & nice! Very clean room and nice motel. Had everything you need, very comfortable but on the small side. The owner was very helpful and friendly. The bed was good and bathroom and shower excellent. Good location for Fox and Franz Josef glaciers and the lovely walk around Lake Matheson is a must do. This new-seeming motel is just far enough off the highway that the light traffic of the March season had no impact on our experience. Room was clean and well stocked. Fox Glacier is a much smaller town than Franz Josef, so if you are traveling from the north and have any shopping needs, you might want to take care of them before leaving FJ. After a week in a campervan we decided we needed a break. We also wanted to catch a helicopter onto the Fox Glacier, and the place that runs the tours is a 4min walk from this Motel. We stayed 2 nights as the rain appeared in the afternoon (after a great trip to the Glacier that morning). The women who runs the motel (it appears on her own!) was very helpful. There are some great restaurants just nearby, and she was happy for us to leave our (small) campervan in the car-park until we wanted to leave later the following day. I would definitely recommend this motel if you are looking for good value accommodation. The front desk staff (Bill) was extremely helpful in trying to assist with booking a helicopter ride even though it was raining very heavily. Kudos to his service! Free 1Gb of data per room is an added bonus. The motel was quite new, the bathroom was very well decorated, it does not feel like a motel at all. The location is great on the main strip. Located right next to the glow worm trail. The girls at the front desk were really friendly, they would make exceptions for us because we arrived late and would like to use the laundry. Definitely recommend it to anyone who stays at Fox. It's located in a convenient place but the motel is too basic for the price paid. Not much choice for food, super market etc. I would recommend staying at Franz Josef instead! Clean rooms and nice motel. The owners were friendly and helpful. Very close to the glow worm walk, only a minute away. Bella Vista is just located next to the Minnehaha walk which is a glow worms area. Walking distance from Bella Vista to the bus station only approx. 3 mins. Good location. It's in the town. Good service and location. Near Fox glacier and you can walk around the town from the hotel.